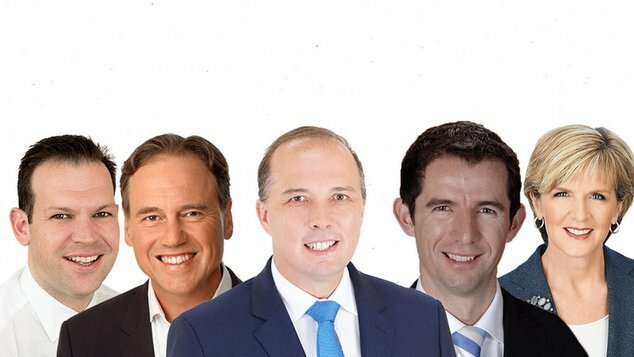 The division within the ranks of the government over the issue of marriage equality is being laid out for all to see as government ministers take to the airwaves to share their differing views on how the issue of marriage equality should be addressed. Education Minister Simon Birmingham has backed business leaders who published an open letter to Prime Minister Malcolm Turnbull pleading with him to take action on marriage equality. “Throughout history business leaders have often stepped ahead of legislators in support of reforms to gender equity or racial equity,” Birmingham told reporters in Adelaide on Sunday. Last week Immigration Minister Peter Dutton launched a scathing attack on the business leaders saying they should focus on running their companies rather than commenting on social policy. The Greens senator Sarah Hanson-Young labeled Dutton’s remarks as homophobic and said they were “absurd” comments from a “bozo”. Environment Minister Greg Hunt has defended the remarks denying they were not homophobic. Hunt supports marriage equality but advocates for the government’s plebiscite solution over a free vote in parliament. “What I do see it as is Peter making the same point I’m making and that is this should be a debate, not just for the elite but for every Australian to have their say,” Hunt told Sky News earlier today. Industry Minister Matt Canavan, who opposes marriage equality, appeared on the ABC program Insiders this morning and raised concern about how supporters of traditional marriage were being treated in the long running debate. Senator Canavan raised concern that Australia’s major trading partners in Asia were also supporters of traditional marriage. “We live in a region, our biggest trading partners are in Asia, there’s no change that any of these countries Indonesia, Japan, China, will legislate for gay marriage anytime soon. They have very strong and socially conservative positions on this issue.” Senator Canavan said. Foreign Minister and Deputy Liberal leader Julie Bishop told reporters she had no problem with company CEO’s making comments on the issue. “If Chief Executives believe that it’s in the interests of their company to collaborate on a public statement then they are free to do so.” Bishop told reporters in Perth. The volley of public statements come as reports suggest the opposing forces are working hard behind the scenes to lobby Prime Minister Malcolm Turnbull on this issue.